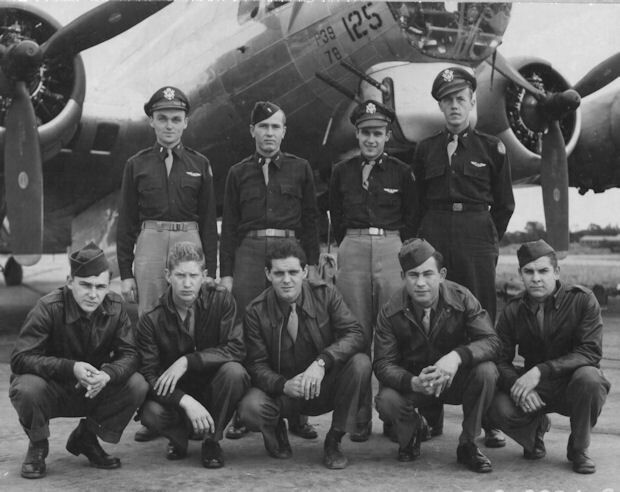 (POW) - On 12 September 1944 mission #241 to Brux, Czechoslovakia in B-17G #42-107196 Temptress (360BS) PU-G. Received a hit in engine #1 and the propeller was feathered. Temptress first dropped back out of formation and seemed to be holding altitude pretty well. It then slid off to the left and made a 180 and into a tight spin after the crew had bailed out. The B-17 crashed near Jachymov, Czechoslovakia.